The new site has two additional features. First, a dedicated, one-click NEWS & NOTICES box to carry short, topical items. (Our first announcement is of the sixth annual James Beck memorial lecture which is to be given on 6 November in New York.) Second, a PREVIOUS ARTICLES feature. This provides a rapid means of locating (visually, as well as by titles and by dates) any and all previous posts in easy one-click succession. All articles previously published on this site are now available on the new site and carry down-loadable printer-friendly pdfs. We launch the new site with an examination of problematic attributions in the museum world and on the wider art markets (“Art’s Toxic Assets and a Crisis of Connoisseurship”). We challenge the attributions of four works – three Rubens’s and a Caravaggio – all of which are professionally supported and are now housed in public museums. We argue that such misattributions are products of unsound and insufficiently-examined modern practices of connoisseurship and art critical methodology. Further, we show how shortcomings of visual appraisal evident in the mis-attributions of individual works are also widely encountered in professional failures to recognise and acknowledge restoration-induced injuries in pictures. Holding that these failures of artistic appraisal are present in both art restoration and art attribution and considering them to be two sides of the same debilitating coin, we warn that their frequency and their magnitude now threaten the credibility of the wider art market itself (as might be seen, for example, in the collapse of the Knoedler Gallery), and that they do so in much the same way that the successive and unchecked incorporation of “toxic assets” within investment dealings ultimately led to the recent collapses of confidence in major financial institutions and markets. Above, Fig. 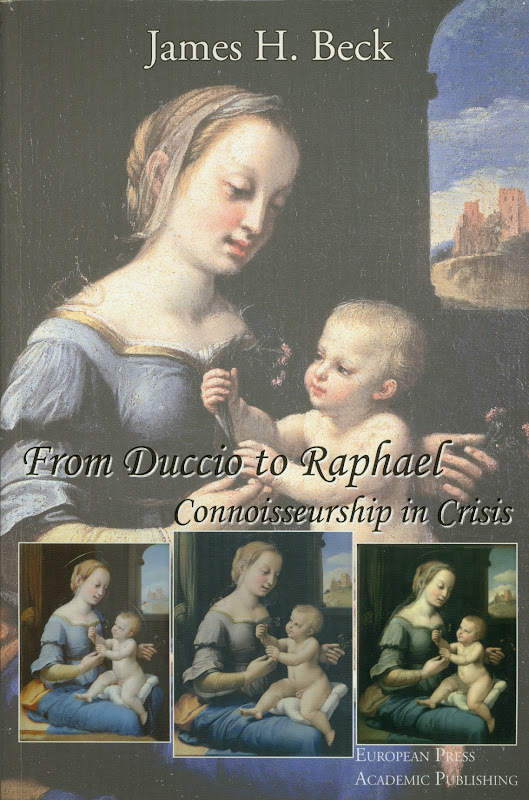 1: “From Duccio to Raphael ~ Connoisseurship in Crisis”, Florence, Italy, 2006, the last book of the late Professor James Beck of Columbia University and the founder (in 1992) of ArtWatch International. Above, Fig. 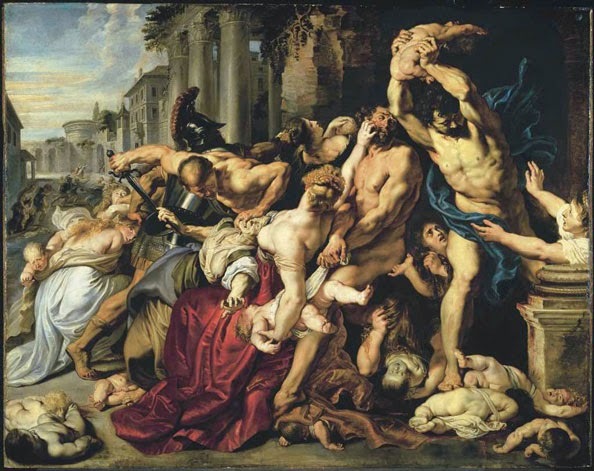 2: The Massacre of the Innocents, which sold at Sotheby’s in 2002 as a Rubens for £49.5m even though it contained pigments said never to have been used by the artist, and an allusion to an antique sculpture (the Borghese Warrior) that had yet to be excavated. Furthermore, the earliest plausible date for the manufacture of the panel on which it was painted had been found during technical examinations by a leading international authority on oak panels to have been five years too recent for the attributed date of this work. This entry was posted on September 20, 2014. It was filed under blog.